Systems integration remains a problem in so many IT environments. Sharing data is such an obvious business requirement that it is worth considering why it too often proves so difficult for organisations to achieve. Having systems built on different platforms in different times during last decades of IT revolution means that IT 'plumbing' is a discipline in itself. Each system presents users with a specific way of data interactions and controls. In the real world, anything that requires more than a single login and interface will quickly become abandoned in favour of paper notes or spreadsheets. We've seen it happen too many times... Frustrating, impractical, IT non-solutions. 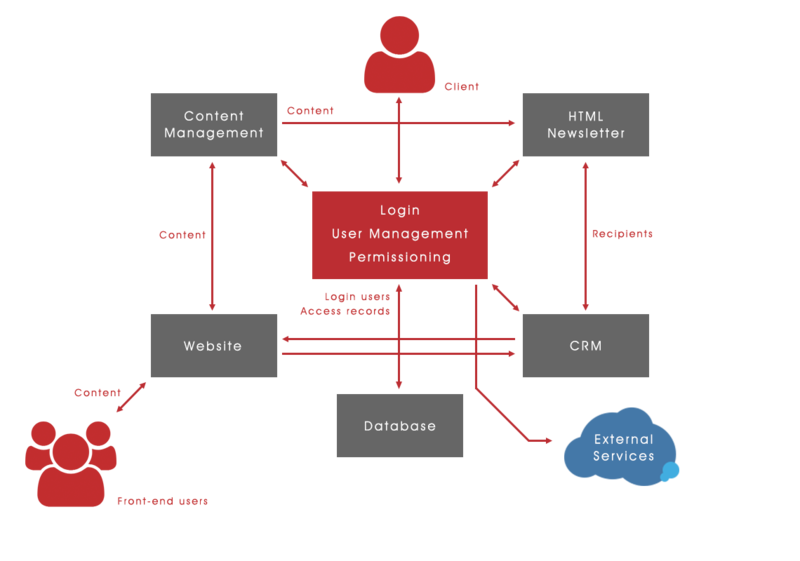 People rightly want to use a single login, single database and one application to control the entire business data-flow. This is where web-based technology wins over any alternative. Imagine a typical scenario where a business keeps a client/customer list for three different purposes: marketing (in CRM system), communication (sending emails) and website (client logins and access to restricted information). Why not have just one? It would certainly save synching and endless corrections. The solution is to use a web-based CRM that shares the data with the website login system and mailing lists. This is just a small example of how a web-based technology simplifies business data-flow. Our ultimate vision is to deliver a modular web-based system that uses one database and has specific interface ("app") for each user depending on their business function.